2 bed, 1 bath, on 2 floors. Sleeps 4 max. A two bedroom period cottage with a contemporary interior, ideal for couples, friends or families with one or two children. The cottage offers comfortable accommodation whilst retaining charm and character. Downstairs there is an open plan living, dining and kitchen area. A wood burning stove adds a lovely atmosphere to the living area. The bathroom is also downstairs. It has a modern bathroom suite with a shower over the bath. Upstairs there are two bedrooms, one is a double and one a twin. The cottage is perfectly located for a holiday in West Bay, being a very short stroll from it's fishing harbour and two beautiful beaches. Why not climb the golden sandstone cliffs recently seen on the ITV drama Broadchurch? With the harbour, river, beaches and Lyme Bay, West Bay is great for seaside fun and many water-based activities. West Bay is right on the South West Coast Path, perfect for coastal walks. West Bay also makes a fantastic base for exploring all that beautiful West Dorset has to offer. Several years ago we saw our cottage in an estate agent’s window in Bridport and, just going to have a look, fell for it. That was it, rather unplanned but very exciting, our own seaside cottage. Ever since we’ve stayed there often and still love it, West Bay and beautiful West Dorset as much as ever. If you are interested in booking a holiday in our cottage we only deal directly with holidaymakers and don't use any of the big listing sites or agencies. Our facebook page is www.facebook.com/westbaycottage and we're on twitter too https://twitter.com/westbaycottage. 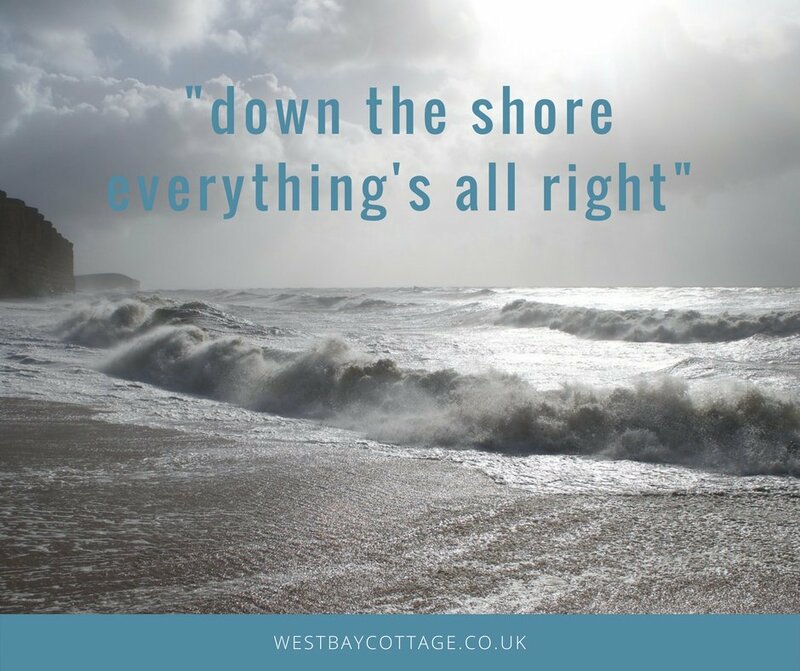 Please visit our website westbaycottage.co.uk for availability, booking information and much more about the cottage and the area.